CLEAR SECURITY FOR A CROWDED PLACE How can events prepare for a possible terrorist attack? FLIR Fido X-Series handheld explosives trace detectors (ETDs) help responders interdict explosives threats in critical security applications. They detect a broad range of threats with best-in-class sensitivity and deliver actionable intelligence within 10 seconds. Screen with confidence using the Fido X2 and Fido X3 ETDs. What to know before your team goes in. Download the guidebook now! SECURING SPECTATORS AT MAJOR EVENTS New research has revealed that 57 per cent of British residents want to see tougher public security put in place ahead of major outdoor summer events. Perhaps this year more than ever, the level of security at this summer’s major events will be very much under the microscope. British Transport Police are preparing security for more than 100,000 people travelling to the Royal Wedding on 19 May, including specialist firearms units at key railway stations. Following a surge in attacks last year, including the Manchester Arena attack which happened a year ago this month, 36 per cent of the public have expressed a desire to see more armed officers patrolling busy areas, while 44 per cent of people said that they would like to see more visible security, such as bollards and barriers, in place. As well as the Royal Wedding, this summer also sees the FIFA World Cup taking place in Russia from 14 June to 15 July, and, given Russian supporters’ antics at the European Championships two years ago, it will be interesting to see the importance given to crowd management and whether European security services can organise and maintain a safe, incident-free event. 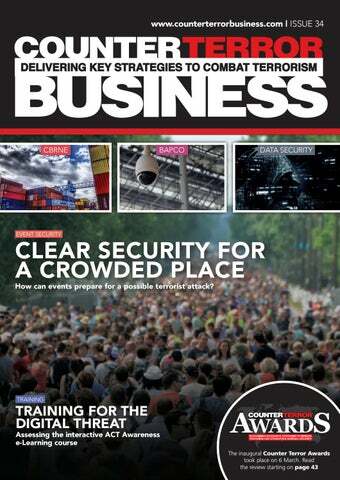 ONLINE // IN PRINT // MOBILE // FACE TO FACE If you would like to receive 4 issues of Counter Terror Business magazine for £100 a year, please contact Public Sector Information, 226 High Road, Loughton, Essex IG10 1ET. Tel: 020 8532 0055, fax: 020 8532 0066. 18 EVENT SECURITY Securing the UK’s large events is imperative in ensuring that spectators remain safe and incidents are dealth with effectively. With the 2018 FIFA World Cup taking place in Russia from 14 June to 15 July 2018, how can organisations best prepare against terrorist attacks? 39 per cent suggesting that they would be more at ease with visible emergency services on site, such as paramedics. Despite the heightened anxiety following attacks throughout 2017, 50 per cent of those questioned said they won’t let recent terror attacks stop them from enjoying organised summer events. Furthermore, 47 per cent of those questioned remain positive about the impact of public events and celebrations. councils and local police forces before the suspects are deemed dangerous enough to be placed under MI5 surveillance. This aids the plan’s intention to focus on ‘communities where the threat from terrorism and radicalisation is highest’, introducing longer prison terms for terror offences, as well as more intensive monitoring when people are released from jail. Criminal ‘arms race’ making firearms more accessible to terrorists A new European Commission report has warned that a criminal ‘arms race’ in Europe is making the availability of high-powered, military grade firearms more easily obtainable to terrorists. Following attacks in France, Belgium, Germany, the UK and Sweden in the last few years, the European Commission survey said that long-standing barriers to obtaining firearms have broken down in light of technology advances, cross-border smuggling and the widespread reactivation of weapons previously rendered unusable to be sold to collectors. The report noted that the terrorists in the Paris 2015 attack used ‘primarily automatic AK-pattern assault rifles and handguns acquired from intra-European criminal sources’, causing vast numbers of casualties. Highlighting two worrying trends, firstly the ‘trickling-down’ of the possession and use of firearms to lower-level criminals and, secondly, the growing overlap between Islamic extremists and the criminal underworld, the report also expresses concern at the developing phenomenon of ‘gangster jihads’, a term for terrorists who have previously been convicted for petty or serious crimes. New statistics have shown that 43 per cent of businesses and 19 per cent of charities suffered a cyber breach or attack in the past 12 months. With new data protection laws coming into force on 25 May, the concerning figures rise to 72 per cent for large businesses. According to the Department for Digital, Culture, Media & Sport, the financial cost of all attacks over the past 12 months cost the average large business £9,260, with some attacks costing significantly more. Large firms identified an average of 12 attacks a year and medium-sized firms an average of six attacks a year, according to the statistics. Accordingly, 74 per cent os businesses and 53 per cent of charities say cyber security is a high priority for their organisation’s senior management. In line with the government’s Data Protection Bill, the Information Commissioner’s Office will be given more power to defend consumer interests and issue higher fines to organisations, of up to £17 million or four per cent of global turnover for the most serious data breaches. A separation centre has opened at HMP Full Sutton in a bid to stamp out extremism. It will allow more offenders to be separated from the mainstream prisoner population to stop them being able to spread their extremist views. Furthermore, thousands of staff have received specialist training to spot signs of radicalisation, with every new prison officer enrolled on the programme and a new intelligence unit opened. These measures come following a 75 per cent increase in prisoners convicted of terrorism-related offences in the last three years and seven hundred prisoners considered a risk due to their extremist views. The new intelligence unit will boost the ability of prison officers to target those who present the greatest extremist threat. The centre at HMP Full Sutton is the second separation unit to open. The first opened at HMP Frankland in July 2017 and a third such facility is set to be in operation by the end of the year. Security services are on constant alert as terror situations have become the norm. Here, Frequentis’ David Knight explains how its Shared Situational Awareness Framework delivers a common operational picture by merging multiple domains into one easy-to-use system There are a multitude of command and control systems (C2) in use today with varying levels of functionality. Often these systems cannot interact with each other, and when they do, they can only do so on a very basic level. This challenge is faced today by both Defence and locally-funded emergency services who procure their own independent systems. A common operational picture is fundamental to allowing real-time intelligence and tactical decision-making and in turn support the sharing of resources. THE SOLUTION The Frequentis framework is a group of shared situational awareness solutions that can be tailored to meet customer needs in a scalable and evolving system. When integrated with the Frequentis state-of-the-art communication systems, it provides a unique cross-domain command and control tool. This is not just a concept, but a solution in use today. The National Air Policing Centre (NAPC), currently operational in Germany, fuses numerous data sources from widely disparate military and civilian systems into a single, easy to use HMI that is coupled with a fully integrated secure communications system. This gives unheralded access to air/ground, ground/ ground landline and radio communications together with ‘click-to-dial’ functionality. In addition to customisation, the solution is layered on top of existing systems. It provides operators with real-time access to a wide range of data sources, providing intuitive interfaces and instantly accessible functions. SO HOW DOES IT WORK? Imagine this scenario. An aircraft is departing from London City Airport – a busy transport hub in the Royal Docks, just six nautical miles to the centre of London. Just after departure, the aircraft suffers a catastrophic bird strike. The captain declares a mayday and turns back toward the airfield for an emergency landing. Unfortunately, he doesn’t have the height or power to make the airfield and is forced to make the decision to ditch in the Thames (just like the Hudson River Incident). DAVID KNIGHT Global Sales Manager – Air Defence David is a former RAF Officer who spent over thirty years working in various operational roles as an Air Battle Manager as well as in various UK and NATO staff positions. Since 2016 he has been working with Frequentis engineers to further develop the Frequentis shared situational awareness solutions. times and coordinate resource allocation. By sharing information across the entire national network, linking assets and communicating in real time, the Frequentis solution ensures that the seamless coordination of emergency services is possible. Operators can share elements of their picture with decision makers not collocated in the operations centre via the Frequentis Mobile Client. This unique capability allows secure transfer of real-time information to dedicated tablets or laptops that have the mobile client app installed. All of this information is supported by online or stored databases, standard or bespoke workflows and a fully integrated state-of-the-art communications system with ‘click-to-dial’ functionality that can access all radios, landlines and mobiles. Importantly, everything is supported by legally-accredited recording that supports post-event analysis and training. Air policing, joint operations, search and rescue, drone detection and cyber defence are just some of the typical use cases which benefit. ! General Data Protection Regulation (GDPR) to focus the mind on this for many. CINDERELLA’S PUMPKIN PC Not since the Y2K ‘Millennium Bug’ have we seen a similar level of public interest as GDPR has created in the strength of UK systems. High profile events, such as the Wannacry ransomware in 2017, have occurred but the short-term media focus in that situation was on inadequate IT maintenance and poor response, not readiness. Rewind 19 years and Y2K was largely seen as a challenge for the IT department to resolve alone. Disappointingly for some media types, Cinderella’s PC running Windows 95 "
DO YOU KNOW THE TRUE IDENTITY OF YOUR CUSTOMERS? Our AML check will confirm it in 5 seconds! Business checks take a little longer; 1-2 minutes! We use the very best quality data to deliver our AML identity check for a result you can rely on. Sanction & PEP screening is automatically included along with Daily Monitoring and Automated Enhanced Due Diligence all at no additional cost. SMARTSEARCHUK.COM SmartSearch delivers UK and International Business checks in the UK and International Markets with inclusive Worldwide Sanction & PEP screening, Daily Monitoring, Email Alerts and Automated Enhanced Due Diligence. of illegitimate privilege escalation to systems containing personal data (e.g. escalation sponsorship, Windows security group monitoring etc.)? ARTICLE 24 Requires implementation of technical measures to demonstrate that processing is performed in accordance with GDPR. It asks: how do we identify if data security policies (e.g. retention schedules, security classifications etc.) are respected and applied within IT systems? Can we retrieve the processing activity logs that will be required during an investigation? And, can we accurately report on the information risk profile change of personal data to risk owners and information asset owners? " Recognize AND Analyze Is she an employee? When, where did she enter? How often was she here this month? Is she a known suspect? Does she appear in videos recorded last week? DATA SECURITY # ARTICLE 32(2) Requires appropriate levels of security in order to prevent unlawful disclosure or loss, bearing in mind that some personal data is more ‘sensitive’ than others. It asks: can we identify where ‘sensitive personal data’ is processed within our systems (e.g. personal data relating to religious belief, ethnicity or sexual orientation)? Can we identify when personal data is exchanged or exported by the users of our systems (e.g. the connection and use of removable media)? And, do we make use of encryption (e.g. password protection of USBs and files)? ARTICLE 32(4) Describes a ‘natural person acting under the authority of the controller’, which translates to consideration of steps to protect against insider threats. It asks: can we identify our Privileged Users and their access to our systems? How do we enforce ‘least privilege’ within systems, providing users with only the information necessary to complete their operational duties? And, can we monitor and report on the modification (e.g. edit and deletion) of personal data records by users within systems and databases? are arguably only three strategic IT activities to absorb into existing cyber operations and run in parallel with wider GDPR objectives. THREE KEY ACTIVITIES FOR GDPR CYBER SECURITY Monitoring: The protective monitoring of information assets within systems to collect the evidence of data processing. This will require the use of Security Information and Event Management (SIEM) applications to harvest, analyse and store activity logs from personal data systems such as databases, file shares, emails etc. The best prepared organisations can identify how data is used and alert on security events as they occur. This includes the ability to monitor modification and deletion of data records and correlate this to the user account responsible and their network location. Detection and response: You can’t have one without the other. This is monitoring that delivers active security to detect the indicators of a breach or compromise and enable early intervention. This is a clear move away from any manually driven extraction and audit of system logs by an administrator – a risky data protection activity in itself. Look for security technologies or service providers that are able to detect and flag events that would otherwise be missed by the human analyst. Capability should include behaviour anomaly detection, as well as detection of the subtle tell-tale signs of cyber attack in progress hidden within communications and masses of network traffic. Demonstrating compliance: This is providing the risk owner with assurance that the risk profile associated with personal data within their systems is measurable, known and acceptable. This considers your information assets (definable sets of business data), the vulnerabilities posed (potential weaknesses) and the effectiveness of any controls to prevent the vulnerabilities from being exploited. As an added bonus for GDPR, the same evidence of routine assurance and risk visibility to risk owners, will prove extremely valuable should the ICO (the UK regulator) drop in. It will demonstrate a clear focus to deliver continuing data protection and information risk management even if you are unlucky enough to suffer a breach. ! you need to keep people alive in those crucial first ten minutes after an attack. HOTELS AND TOURISM: Atrocities particularly in the USA, North Africa and the Middle East have caused injuries and loss of life leading to a collapse in public confidence in terms of tourism. We understand that the safety of guests is of paramount importance and emergency preparedness of this nature will save lives. MALLS, SCHOOLS AND LARGE CORPORATE BUILDINGS: When the very fabric of society can be penetrated, as we have seen with the Houses of Parliament in the UK, high dchools in the US and recently at YouTube HQ, for instance, we know that something significant needs to change. Safety in numbers is something we take for granted, but more than ever it is being compromised at times of work and play. ! CROWDED PLACES Securing the UK’s large events, such as concerts, festivals and sports matches, is imperative to ensuring that events run smoothly, spectators remain safe and any incidents are dealt with quickly and effectively. With the 2018 FIFA World Cup taking place in Russia from 14 June to 15 July 2018, how significant is security risk management for public spaces together with crowd management and how can organisations best prepare against terrorist attacks? HOW CAN EVENTS BEST PREPARE AGAINST TERRORIST ATTACKS? T he threat of terrorist attacks in crowded places is currently at ‘severe’ which means that an attack is highly likely. With the 2018 FIFA World cup taking place in Russia, we will have a mix of crowded places, an iconic event, football fans, international political turmoil and, of course, the terrorist threat. It would be inconceivable that anywhere intending to host an event or screening should not be getting prepared for the highest security level of risks and responses. With the risks faced in the world today, it has never been more imperative to ensure that security, safety and service elements of risk management are brought together. Public spaces have numerous users and stakeholders. Many of those stakeholders have individual plans for their own organisation, but may not have thought beyond their boundaries before. Users come with their own expectations, perceptions and needs. Adding an event into the adjoining public space can change everything. How then can event managers ensure they are not only working with their suppliers and stakeholders, but also widening this to include these new boundary stakeholders and users? Security risk management is high on the agenda for the reasons we have illustrated. The problem we face, and have seen "
to recover themselves. Anniversary memorials have always been a part of the recovery phase. However, we are now seeing a more supportive act to raise funds and show a defiant stance against terrorist acts by holding a benefit event, such as the Manchester Arena supportive memorial ‘One Love’ concert. In today’s uncertain world, it is a must for any organisation to ensure they are effectively managing the risks they face. This means ensuring they are up-to-date with the latest credible information. They must work in partnership and not have a silo mentality. We do not respond alone. We are cognisant of the threats faced from internal or external means. We must have effective, reasonable and appropriate mitigation; business continuity; response and recovery plans; and resources. Finally, remember that staff training and briefings must be at the forefront of any plan you have, as they are the very first line of the defence. ! Complete perimeter protection solutions under one roof Heras designs, manufactures, supplies, installs and services complete perimeter protection solutions across the UK. preserve of Middle Eastern war zones. This has been sadly demonstrated in London, Charlottesville, Melbourne and Toronto. Following this spate of horrific UK terror attacks targeting major events and public crowds using VAWâ&#x20AC;&#x2122;s, there is concern that the public may be more hesitant about attending "
PERIMETER SECURITY # popular events they would ordinarily attend, creating a climate of fear. In response to this, many event and festival organisers are looking at ways to ensure their attendees feel safe. Purpose built temporary perimeter protection provides the security many are looking for. Many members of the Perimeter Security Suppliers Association have created products specifically designed to protect pedestrians whilst allowing the free movement of people at the event. COUNTER TERROR SENTRY BLOCK Temporary protection has two purposes. Firstly, it acts as a visible deterrent to prevent terror attacks – fortifying the perimeter of event spaces to deter terrorists and make the public feel safe and confident in their attendance. Next, the 2.2 tonne Counter Terror Sentry Block, produced by Townscape, is a temporary, rapidly deployable version of the highly successful PAS 68-rated counter terror block. These counter terror blocks are daisy chained together with 1,200mm pedestrian crossing points between blocks. The system can also incorporate secure vehicle access points as required, so that if there is a need for vehicles to be entering and leaving the site, this will not be a problem. With the wide range of options available to organisers, choosing the right solution is no easy task. With this in mind, PSSA member companies provide an advisory service to assess the specific needs of a particular event, including location, access points, the perimeter and expected attendance numbers. Then, the most suitable products can be selected. as they act as both a physical and visual deterrent to prevent VAW attacks. The CT Sentry Blocks were fitted on flat surfaces along with stepped level ground. The two concrete CT Sentry Blocks were then chain-linked to provide further protection. The installation of Townscape’s temporary event perimeter security system ensured effective defence was put in place to protect those attending the event. The CT Sentry Blocks deployed at the event were painted with high visibility black and yellow hazard lines to ward off any hostile attacks. The blocks were a huge success and the event ran smoothly. A representative from Townscape was on hand on the day to oversee the whole process and "
Register Today The 3rd Critical Infrastructure Protection and Resilience Asia will bring together leading stakeholders from industry, operators, agencies and governments to collaborate on securing Asia. Southeast Asia has seen a rise in insurgency-related attacks and terrorist activities, creating uncertainty and insecurity on critical national infrastructure. Climate change has also seen more extreme weather patterns, creating additional hazardous, unseasonal and unpredictable conditions and a severe strain on infrastructure. The conference will look at developing existing national or international legal and technical frameworks, integrating good risk management, strategic planning and implementation. Be part of the discussion - and solution! be specified again within this area because the London Underground ticket hall ceiling sits just 300 mm below ground level. This meant that the bollards needed to be installed within the 300mm suspended slab foundation. The entire St Pancras hotel and station complex all benefited from architecturally-sympathetic security measures. The surrounding area now has a holistic, high security design and installation which protects the urban area against attack and accidental vehicle impact. ! James Myatt is executive chairman at Townscape Products, a PSSA member. 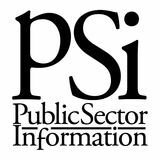 The PSSA is the trade association for companies involved in the supply and installation of products designed to provide high levels of physical protection and intruder detection for sites and their external perimeters in all circumstances where terrorist or criminal attack is a perceived risk. Jackson White is business development director at Getac UK where he is responsible for growing the organisation’s defence, security and first responder customer base. In 2017, Richard Russell joined Roadphone NRB as BDM to grow their Endurance Technology® portfolio for CNI, corporate and high value facilities. Simon Hill is an experienced technical director at Excelerate Technology Ltd, with a demonstrated history of working in the telecommunications industry. After joining the Royal Corps of Signals at 16, where he looked after general communication systems, Jackson supported Special Forces operations for 10 years. He then moved into the corporate world where he oversaw future technologies and innovation for video surveillance and communications systems organisations. Richard’s telecoms career spans 36 years, including 25 years at Motorola, gaining expertise of MPT1327, DMR, TETRA and LTE. He has experience of service organisation and EMEA product management, and was a Global Business Development and EMEA Go-To-Market product specialist. He is also an advisor to many partners across Europe of multi million dollar awards. Simon is skilled in service delivery, technical support, mobile communications, Radio Frequency (RF) and VSAT. is based on a network provided by EE, has already been delayed twice, casting doubt on whether it will be implemented before its 2020 deadline. Public Accounts Committee chair Meg Hillier raised the issue last summer following the Grenfell Tower fire, writing to then Home Secretary Amber Rudd to ‘highlight the importance of our emergency services being able to communicate effectively in the event of an emergency’ and question the decision to change services given the number of terrorist attacks at that time (the UK had "
# experienced attacks in London and Manchester in March and June 2017). The Home Office reported in February that the new 4G ESN system has achieved its first successful demonstration over a live public mobile network, marking the first time Motorola Solutions’ software has linked together with the live EE mobile phone network and demonstrated prioritisation of emergency services communications on a public network. Additionally, 130 handheld devices were produced for testing, as was the first new rapid response vehicle. The government claims that there have already been over 100 genuine 999 calls received through masts in place due to ESN where there was previously no coverage, demonstrating the ability of ESN to help save lives even before the roll out is complete. Nick Hurd, Minister for Policing and the Fire Service, said: “This is a complex project which will provide the emergency services with the most advanced communications system of its kind anywhere in the world – which is why successful tests like these are an excellent achievement. Members of the public are already seeing some of the incidental benefits of the project like its improvement of the 4G mobile network – 90 per cent of the UK is now covered.” SO HOW DO WE MIND THE GAP? Jackson White, business development director at Getak, says that ‘adopting a bespoke, dedicated system based on satellite mobile internet technology’ enables organisations to access ‘uncontested’ mobile capacity. In addition to this, services should engage with an emergency services type network, which aims to deliver secure and resilient voice communication and broadband data services for the three emergency services via the LTE network. But, as Roadphone NRB’s Richard Russell points out, there is a concern over just how well this LTE broadband service will truly perform as our public safety organisations ‘take the bold and brave step away’ from the tried and tested TETRA network. Roadphone’s business development manager highlights how ‘the original intended purpose of the two systems are fundamentally different’, where the TETRA based Airwave system operates at lower UHF frequencies, lending itself to better range and transmitting more power from devices with more efficient antenna design operating on a bespoke network infrastructure designed for performance. In contrast, 4G LTE networks have been ‘prioritised for commercial biased population-dense locations’, leaving many to wonder about its effectiveness in rural locations. THOSE ON THE FRONTLINE OF PUBLIC SAFETY RELY ON MOBILE CONNECTIVITY TO ENABLE MISSION CRITICAL COMMUNICATIONS BETWEEN RESPONDING RESOURCES, CONTROL ROOMS AND OTHER EMERGENCY CREWS by OFCOM to prevent interference to others and to the operator’s system. Organisations should also be rehearsed on how they deal with different eventualities in terms of reduced network capacities. For example, where bandwidth is reduced and data transfer is limited, operational procedures should stipulate that low resolution imagery or only critical voice or data is communicated. It’s essential that hardware used for these critical communication is equipped with the advanced connectivity features which allows dynamic bandwidth allocation to transmit live video feeds, images and other data in emergency situations. Companies relying on commercial mobile infrastructure can secure a private, priority channel, further enhancing resilience by aggregating services from multiple providers. This means the communication burden is spread across networks to ensure consistent connectivity, bandwidth and resilience. This is especially important in emergency situations as a networks can quickly become oversubscribed as citizens clog the network checking on the safety of friends and family. ! Andy Burston is a former UK police officer with operational experience of intelligence-driven policing and counter terror operations. Simon Daykin is chief technology officer for Leidos UK’s Civil, Defence and Health business units, providing strategic business technology leadership for UK customers. Andy works as a security information risk advisor and architect, helping stakeholders to solve complex problems across information systems and processes, thereby reducing their exposure to risk. He has also managed the protection of IT that is critical to the success of UK policing and national security objectives. Motivated by the benefits technology can bring, Simon is passionate about supporting digital transformations through strategy, design and delivery to solve some of the most challenging problems in today’s world. Before joining Leidos, Simon served as chief architect of NATS and CTO of Logicalis. PAUL PARKER, SOLARWINDS Paul Parker brings over 22 years of IT infrastructure experience, having worked with multiple miltary, intelligence, civilian and commercial organisations. Paul has received multiple military and civilian awards for service, support and innovation, having served as vice president of engineering for the federal division of Inflobox, an IT automation and security firm, as well as holding positions at CS2, Ward Solutions, Eagle Alliance and Dynamics Research Corporation. that provide ‘the same, if not better, access to information without the need for excess equipment’. There is no doubt that cloud offers a very significant shift in the way we work, a notion that Simon Daykin, chief technology officer at Leidos highlights in our recent conversation. He says that the key to benefiting the new technology is to exploit it for your own needs, providing organisations the chance to assess ‘what is the problem we are really trying to solve?’ and then re-thinking the way we can use technology to deliver that. Moving "
CLOUD TECHNOLOGIES HAVE BECOME CRUCIAL IN PROVIDING POLICE WITH COST-EFFECTIVE AND FLEXIBLE WAYS OF MANAGING INVESTIGATIONS AND OPERATIONS police forces and security companies. But there is no reason as to why the wider accessibility issue shouldn’t be relayed as a positive. Using a cloud-based system, managing data encryption and multiple layered security, can provide police forces with a more expansive storage offering at a relatively lower cost. Furthermore, cloud technology can be used to manage and restrict access, permissions and usage. Parker says that cloud adoption will lead to police IT becoming ‘physically smaller and tactically more reliable’, but it will equally allow it to be more expansive in storage. FINANCIALLY VIABLE As mentioned previously, UK police forces are likely to be working on smaller budgets for the next few years. While switching operations is a cost that some may shy away from, as Daykin points out, ‘the consolation to cloud is that so you can free up some of the money that will need to be spent on sustaining legacy systems and reinvest that’. Sustaining large legacy systems and aggressively transforming to cloud can actually allow for money to be reinvesting in cloud technology. The move to the cloud should not be finanically-led, but culturally, where the benefits far outweigh the obstacles. ! MOST SUCCESSFUL SECURITY & COUNTER TERROR EXPO TO DATE S ince the breakup of the caliphate in Syria, the terrorist threat has evolved as extremists now remain in their home countries and look to launch attacks from inside their borders. This has presented those tasked with protecting nations, businesses and the public with new challenges as security forces constantly fight to stay one step ahead of the threat. 10,123 visitors, 71 international delegations and 304 exhibitors made UK Security Week at Olympia, London, the most successful ever. Security & Counter Terror Expo (SCTX) again featured leading forensics show Forensics Europe Expo, Ambition – the event for the emergency preparedness, resilience & response (EPRR) community – and for the first time, the People Movement and Management Show. PORTABLE PROTECTION, WORLD-CLASS RELIABILITY Garrett’s PD 6500i walk-through detector offers: • Superior throughput, with high discrimination of innocuous items. • Optional caster set enables full mobility for rapid deployment at special events and sports arenas. • Optional battery modules for continuous operation without power cables or other wiring. THE GARRETT ADVANTAGE • Metal detection technology trusted since 1964. • Walk-through, hand-held, and ground search models designed for all applications. • Each detector is proudly made in the USA under Garrett’s strict ISO 9001 certified Quality Management System. Ordinary days require extraordinary protection. ÂŠ 2017 Genetec Inc. GENETEC and the GENETEC LOGO are trademarks of Genetec Inc., and may be registered or pending registration in several jurisdictions. EXTREMIST PROPAGANDA IS ENCOURAGING ATTACKS TO BE LAUNCHED FROM HOME NATIONS WITH TERRORISTS OPTING FOR METHODS UTILISING EVERYDAY SERVICES and perimeter fences all work together into an operations control centre. The showcase featured leading suppliers such as: Custom Consoles, Warrior Doors, Chemring Technology Solutions, Technocover, Bosch, BlokNmesh, Hill and Smith, Integrated Design Limited and Harp Visual Systems. Detective Chief Superintendent Scott Wilson, National Coordinator for Protective Security, commented: “The current threat from terrorism, both in the UK and internationally, means it is vital police work closely with commercial organisations to improve our collective security. Events like SCTX give us chance to showcase the tools we have available to help companies increase their understanding of the issues and measures they should be taking. “This year senior officers had the opportunity to meet many leading suppliers and experts working in protective security and this helps our understanding of the important innovations taking place in the sector. We look forward to attending again in 2019.” AWARD-WINNING PRODUCTS This year also played host to the inaugural Counter Terror Awards, run in association with Counter Terror Business magazine and hosted by Sir Michael Fallon. The awards were staged to recognise the efforts of both public and private sector organisations and their contributions to counter terror strategies in the UK and abroad. Adam Liardet, director of award-winner, Audax, commented: “Having hosted The European Commissioner for Security Union, Sir Julian King, at our stand we were then thrilled to receive the Communications Systems Award at the Counter Terror Awards presented by Sir Michael Fallon. For an SME to be able to engage at this level, is evidence enough that the Security & Counter Terror Expo provides opportunities and delivers where other events just don’t come close, it will come as no surprise we have already booked for next year.” More information on the Counter Terror Awards can be found on page 43. PLANNING FOR THE 2019 EVENT Clarion Events announced that the next edition of SCTX will return to London on 5-6 March 2019 for UK Security Week. David Thompson says of next year’s event: “The 2018 show was our most successful yet and we’re looking to take 2019 to the next stage. We introduced many new features this year to ensure that the show remains the UK’s leading national security and counter terror event and at the forefront of strategic discussion and product innovation. This raised the bar yet again and we’re looking forward to working with our key partners over the coming months to maintain that success into next year’s show.” ! Next course starts 13 June Learn online with expert tutor support and connect with a global network of like-minded professionals. The Perimeter Security Suppliers Association (PSSA) is the trade association for suppliers and installers of hostile vehicle mitigation (HVM) products, including high security fences, bollards, barriers, blockers, turnstiles and street furniture. The association works closely with the Centre for the Protection of National Infrastructure (CPNI) and the Home Office’s Joint Security and Resilience Centre (JSaRC). In a major new initiative, the PSSA has developed HVMhub – a comprehensive website providing guidance on risk assessment and product selection for situations requiring either permanent or temporary HVM solutions. The HVMhub also offers expert approved CPD seminars for companies, agencies and institutions needing a heads up on what to consider when faced with possible perimeter security threats. up of ex-military personnel, the teams possess unmatched skill and expertise when it comes to securing a vessel making port calls in high risk regions. Commended: ATG Access; Stobart Air; Amulet Ballistic Barriers; Smiths Detection UAV PRODUCT AWARD Sponsored by ARPAS UK Winner: OpenWorks Engineering Ltd – SkyWall Counter Drone Technology SkyWall Counter Drone Technology is a net capture system that neutralises any type of small drone. Damage to both the drone and the surrounding area is minimised by controlling the descent with a parachute, allowing forensic investigation. The SkyWall range offers defence in handheld and mounted autonomous systems. SkyWall100 is a mobile, handheld system, while SkyWall300 is a mounted system that can be installed on mobile or fixed assets. It is environmentally protected and can be fully automatic when integrated with detection systems. Commended: Drone Defence – SkyFence™ electronic countermeasures system; Robin Radar Systems – ELVIRA® Drone Detection Radar; PDA Electronics – Repulse®; AUDS Team – AUDS (Anti-UAV Defence System) ! SIGNALLING SECURE DOCUMENT TECHNOLOGIES hether your company or organisation is involved with security features, chips/ inlays, cards and document production, personalisation techniques, document readers, biometrics, or in providing infrastructure and expertise for large-scale identity solutions, or in fraud detection, the 2018 SDW conference will be of strong appeal. Taking place on 25-27 June at London’s QEII Centre, SDW has become one of the world’s largest gathering of advanced security document and identity solutions experts. The 12th edition of SDW, hosted by Science Media Partners, is expecting to welcome 2000 attendees from around the world. The event features a world-renowned three-day conference and a free two-day exhibition with over 150 companies exhibiting. processes are not vulnerable to fraud or misuse. Equally, action to detect and disrupt fraud needs to be robust. During the past decade, instances of simplistic document fraud have been on the decline, but have been replaced by a sharp increase in identity fraud. Actors and organisations involved in terrorism will continue to exploit design and system vulnerabilities for their benefit and remain highly motivated and well-resourced to achieve their aims. SDW will take a purposeful look at the drivers of document and identity fraud, the systems, approaches and tools available to prevent and detect it, and explore what government and industry can do to further deter and reduce the possibility of fraudulent documents or identities being used by those who seek to do harm to our societies. Mark Lockie, SDW event director, said of the show: “SDW provides a vital role for the secure document and identity sector as a key information source and global meeting place. We are always delighted to see so many familiar faces return and to welcome newcomers to the SDW community where government, industry and academia come together to discuss, source and forge solutions.” ! completely unusable by unauthorised parties, even in the case of ransomware attacks. RUGGED DEVICES DELIVER IN HIGH RISK ENVIRONMENT Getac offers a range of rugged mobile devices which have been designed in conjunction with defence and security organisations specifically to meet the needs of those working in military and blue light sectors, and those in other high risk, challenging environments. They include a number of features that allow troops and first responders to focus on mission-critical tasks, without worrying about reliability and performance. The devices enable critical data to be quickly and safely sent and received via superior connectivity and security features. Certified to the highest industry standards, such as MIL-STD810G and IP67, mean the devices can withstand drops, dust and water ingress. MX50 – Getac’s military-specific tablet is compact, lightweight and intuitive – perfect for the already overburdened infantryman. The 5.7 inch IPS display offers a consumer device-like experience but packs in more power, robustness, security and functionality required by dismounted soldiers on the battlefield. ZX70 – rugged and durable, built to withstand rigorous use, yet is lightweight and ultra-portable, long lasting, offering potentially limitless battery life for use all day and night A140 – large 14” screen tablet to display more data and information at any given time, ultra portable. RX10 secure and reliable, offering superior connectivity so workers can quickly and securely access encrypted electronic patient records and other data wherever they are. To effectively meet operational and modernisation goals, procurement teams must look to harness the hardware and software that will deliver reliable mobile working experiences, with the highest levels of security for peace of mind. ! days (as well as the first live demonstration of the network for non-users). International content included presentations from the likes of Mike Poth, FirstNet’s CEO, and David Lund, co-ordinator of broadband procurement projectBroadMap. The UK will continue to face the threat of terrorism for the foreseeable future, and the accessibility of crowded places like shopping centres, sports stadia, bars, pubs and clubs make them attractive targets. One of the main challenges we face in continuing to deliver world-class manned guarding services is keeping operational teams motivated and avoiding any appearance of complacency. Whether guarding against unauthorised entry to a building or premises, guarding against the destruction of or damage to a building or premises, or protecting a person from assault or injury, the challenges remain the same in the current climate. Having been at the national threat level of Severe since August 2014, rising to Critical on two occasions last year, it would be understandable for some security personnel to be suffering from threat fatigue. Keeping them motivated is critical. It is up to businesses like ours to ensure that positioning and posture and routine-variation are at the forefront of our security teams’ minds at all times. A rapid and regular stream of communication through which to share intelligence updates is also essential to an effective security team whether, manned guarding or otherwise. Achieving the right behaviour is enabled through an understanding of the variety of the threats out there and a clear understanding of what is required. of what happens both during and after opening hours, and play pivotal roles in helping us all to deter and detect those who have may have sinister intentions. At ABM, we make sure they are all trained in counter-terrorist strategy and that they can play meaningful role in reducing the chances of an attack. While any given site is likely to have a combination of staff working for the managing agent, any number of facilities services providers as well as numerous subcontractors, we believe that when it comes to counter terrorism, competitors must become collaborators. Not only should they share the training room, but they must be in constant communication. PATTERNS AND BEHAVIOUR Before an attack, terrorists will carry out reconnaissance on a target site. Often, they are looking for patterns in the behaviour and movement of both visitors to a site, and the people working on a site. Patterns that repeat over a period of months are helpful to their plans, but when those patterns are disrupted, their confidence is dented and plans can be dropped. Randomising operational patterns of behaviour and introducing new counter-terrorism approaches will cast doubt in the eyes of those planning an attack. Doubt is the key to successful deterrent. Although patterns should appear randomised, they must be changed with confidence and executed with precision by everyone working on site. That only happens with clear, consistent and concise communications across all parties. Just as the nature of terrorist threats has changed, so must efforts to deter them. Preparing to respond to the worst-case scenario is clearly important, but preventing it from happening in the first place must be the collective objective of everyone working on site. For this, collaboration is key. ! could also be used to help prove that public safety officials had managed an incident correctly, for instance in response to complaints from the public. David Robinson, business development manager at Motorola Solutions, demonstrated the use of a fingerprint-reading peripheral, in combination with a mobile device and the company’s Pronto mobile working platform. The system allows for fingerprints to be read and then searched for on both police and immigration databases, with information from the databases then used during a number of business processes. Robinson explained that the peripheral is required because smartphones’ native fingerprint readers are not yet at the necessary quality. He added that West Yorkshire Police are currently using it – among other things – to identify unconscious victims, explaining that those police forces using the system aren’t doing so to capture fingerprints, only checking to see if a person’s fingerprints are already on the system. Simon Hall, CEO of Coeus Software, walked us through his company’s Quvo Workforce Mobility Platform and its public safety version, PoliceBox. Like Motorola Solutions’ Pronto, these are designed to allow users to perform business processes on the move. The system uses Microsoft Azure as part of a hybrid software-as- a-service (SaaS) model, and because of the company’s ‘very anti-consultancy’ approach, has been designed to allow customers to easily add new business processes, ‘they take just a few days to build’, without incurring additional costs. With ESN now beginning to focus on delivery, we are looking forward to next year’s event and hearing more from the user organisations about how they will manage the transition. In the longer term, it will be interesting to see the use-cases that will be discovered once the technology starts to be deployed on a large scale. ! BAPCO and TCCA have announced that next year’s Critical Communications Europe – which is staged on behalf of TCCA – will take place in conjunction with the BAPCO Annual Conference & Exhibition. The venue for both will be the Ricoh Arena in Coventry, in March 2019. Life saving decision making in the palm of your hand!
" Governments have not been idle in countering the dirty bomb threat. In the UK, the Cyclamen Programme placed radiation monitors at entry points and in the US the Radiation Portal Monitor (RPM) Program fielded some 1,800 systems at both sea ports and land border crossings. Equipment from both procurements is now heading towards the end of its useful life, and programs exist in both countries to replace, upgrade and network replacements. In an effort to provide ‘Defense in Depth’, the US’ National Nuclear Security Administration has been taking similar technology and supplying it to nations which have experienced periods of less rigorous internal regulation of nuclear materials. Their aim is to check outbound cargoes for smuggled material. More broadly, the Global Initiative to Counter Nuclear Terrorism, with an implementation group led by Finland, has 88 countries working together to strengthen nuclear regulatory mechanisms. RADIOLOGICAL SECURITY However effective perimeter detection, and even port-of-departure screening becomes, it can never wholly counter the threat of radiological terrorism. Not every mile of border or coastline can be scanned and radioactive materials in legitimate transit can be obtained by maritime hijacking, a recent topic of study at Sandia National Labs which examined the hijack threat in the western Indian Ocean. Similarly, perimeter detection cannot counter the threat arising from loss of control of radioactive materials used in widespread civilian applications. HOWEVER EFFECTIVE PERIMETER DETECTION BECOMES, IT CAN NEVER WHOLLY COUNTER THE THREAT OF RADIOLOGICAL TERRORISM These include medical investigation and treatment, and extensive use in industrial non-destructive testing processes. End of life management of equipment containing radioactive sources needs to be significantly improved in many countries, not just to counter terrorism but to ensure that, even innocently, radioactive contamination does not enter the food chain, water supply or manufactured goods with a proportion of recycled metals. This is predominantly a regulatory issue, but technology has a role to play, for instance in scanning inputs to metals-recycling facilities. Rapidly evolving technology may offer a step-change in radiological security, and therefore the ability to deter terrorists from building radiological weapons within a nation as well as smuggling in the required materials. A grid of integrated detection systems comprising a network of static and mobile sensors, to protect cities and critical national infrastructure, has long been envisaged. In the past two factors impeded the creation of such a capability on large scales: (a) large networks require sensors which are much more affordable than has been the case until recently and (b) networking technology capable of securely handling large volumes of data from mobile sensors and remote sites has been expensive and largely restricted to the military. The first of these challenges, building affordable sensors, is being addressed successfully by several providers around the world. I’m proud to say that my own company, Arktis Radiation Detectors is one of them. Strong leadership has been shown by government bodies in several countries, perhaps most notably DARPA in the US. Over the last decade, a 90 per cent reduction in sensor cost with appreciable improvements in performance has been shown to be achievable. The networking challenge, is of course being simplified immensely rapidly by the development of 5G telecoms, by the growth of ‘big data’ applications and infrastructure, and by the growth in understanding of cyber security. The adoption of sensor networks to defend against radiological threats will depend on government. At the moment, principally national governments, but in future perhaps the leadership of the world’s great cities. Washington DC, working with DARPA and the Department of Homeland Security, has already trialled the technology. Perhaps before too long we will see the demand coming from the populations, and then the Mayors of Chicago, or London? ! Evac+Chair provide a universal solution for smooth stairway decent in an emergency evacuation. Security Office (NaCTSO), such as the Run, Hide, Tell films have been repackaged to suit the modular format. The availability of the product was announced at a recent summit of senior police protective security leads from around the UK. Each senior officer was invited to bring key business and local authority figures to the event held at the offices of Credit Suisse in London’s Canary Wharf. The day-long seminar also included presentations on other current security issues such as hostile vehicle mitigation and CBRNe threats. However the main aim of the day was to encourage sign-up to the e-Learning package. DCS Wilson adds: “The areas we cover in this step-by-step package could save lives. Industry specifically requested the development of this type of product to better prepare their staff and help protect communities and businesses. It won’t replace the involvement of CTSAs – they are still available if needed. “All staff working in crowded places – not just those who have a security role – can follow the course and be in a stronger position to help protect themselves, colleagues and the public. The benefits go beyond the immediate work place. The course will equip all those who take it with knowledge they can apply in other areas of their daily lives. “We hope many organisations will want to sign up and take advantage of this free product. Our CTSAs will be approaching their regional contacts to make them aware of the facility and explain how they can take part. We are grateful to Marks and Spencer who entered into this collaboration with us. They have shown true leadership in the sector in helping us develop the modules in a way that will easy for all sizes of company to use. “This is our second major collaboration following last summer’s work with the Foreign Office and ABTA the Travel Association to provide briefing tools for travel industry staff and tourists. It is not about replacing police involvement but expanding our reach to raise awareness of the threat from terrorism with as many people as possible.” ! Companies wanting more information or to apply for registration should visit the National Counter Terrorism Security Office (NaCTSO) website. With operational environments changing and many naval platforms now reaching end of life, nations are now looking to either update their fleets or to design and build new vessels to meet an ever changing threat and to meet the new demands of the 21st century. Future Surface Fleet 2018 explores the wide range of programmes being conducted by nations and how new and changing technologies will influence the maritime environment over the next 25 years. 11-15 June 2018, Paris www.eurosatory.com Today the world faces a wide range of conflicts, terrorist threats and emergencies that increasingly intensify. In the light of this, states and private citizens need defence and security solutions to ensure peace, safety and stability. Eurosatory is the leading international land and airland Defence and Security exhibition that will be held from 11-15 June 2018 at the Paris Nord Villepinte Exhibition Centre. In 2016, it gathered 1,571 exhibitors, 212 Official Delegations, 57,024 international visitors and 700 journalists from all over the world. your role in the industry, you have a part to play in global security. IFSEC International is your platform to share ideas, discover best practice and get hands on with the latest physical and integrated security products. SDW is a world-leading event providing a global showcase for next-generation human identity solutions, focusing on intrinsic document security and on the new cutting-edge secure infrastructure now required to produce and use these advanced documents in live situations. Recognised worldwide as the preeminent conference for professionals involved in secure ID credentials and government-identity solutions,the three-day SDW conference brings you innovations, insight, analysis and debate direct from over 75 industry experts. The SDW conference programme covers key issues, including identity fraud, document design, travel documents, smart borders, eID, biometrics, digital and mobile ID, smart citizens and the future of identity innovations. International Security Expo is the premier showcase for homeland and commercial security attracting a global audience of government, transport and borders, law enforcement, military, emergency services, CNI, cyber security, facilities managers and the public and private sectors. Through a series of conferences, workshops and interactive features, the event tackles some of the most challenging threats to our citizens, borders and infrastructure. The tragic and despicable terrorist events of the early 21st century have forced the international community to act. Increasingly sophisticated strategies and technologies are being employed by organisations throughout the world in order to counter the threat. The Counter Terror Awards will be staged to recognise the efforts of organisations in both the public and private sectors and their contributions to counter terror strategy in the UK and overseas, as well as the vital role played by the military and emergency services in mitigating terrorist threats and striving to keep the public safe. The Counter Terror Awards will take place for the second time on 5 March 2019, in association with the Security and Counter Terror Expo. 5-6 March 2019, Olympia, London www.counterterrorexpo.com The Security & Counter Terror Expo is a world-class showcase of the capabilities, strategies and intelligence to keep nations, infrastructure, business and people safe. The event brings together over 10,000 senior professionals from government, the private sector, critical national infrastructure, military, law enforcement, transport security, border security, security services, major events and emergency services. Understanding the threat horizon is crucial for effective mitigation. The World Counter Terror Congress, part of SCTX, provides a closeddoor forum to explore the latest terrorist risks and the capabilities to maximise resilience to them. Becoming a delegate at World Counter Terror Congress provides you with the latest intelligence, strategies and tactics to successfully prepare and protect against terrorism. Clarion Events, the organisers of SCTX, are supporters of the Counter Terror Awards. AN ULTRA CHALLENGE OR THREE? Felix Fund is no different from any other charity in that we are always looking out for new and exciting challenges and events to fundraise from. 2018 is certainly proving that point when Captain James ‘Waddie’ Wadsworth CGC launched a series of hard endurance events to raise funds for the bomb disposal charity. With several years of fundraising under his belt, Waddie has launched The Captain James Wadsworth Challenge for 2018, which will see participants swimming, running and cycling across difficult terrains and in challenging conditions. The first of these tough endurance events will take place on the 7-11 June 2018, when a team of 15 or more cyclists will endeavour to tackle the Tour De Troops, returning following its success last year, but with a slightly different spin. This time its Lands’ End to John O’Groats in five days. Not for the feint hearted as the challenge to achieve 180 miles each day is a tough one. If that wasn’t enough, following a brief rest, the next challenge, The Soldier Pass Run, takes place on Saturday 14 July 2018, encompassing a range of abilities with options of 5K, 10K, half, full and ultra marathon routes. The runs will start from and end at the home of Felix Fund, Vauxhall Barracks, Didcot in Oxfordshire. £23,000 for Felix Fund, and, in 2015, he contributed to fundraising £27,000 for the Felix Festival. 2016 and 2017 saw Waddie complete the Marathon des Sables, which covered 251 kilometres of the Sahara in just one week. Last year, he cycled the Tour De Troops, which covered 130 miles a day from Scotland to Germany. The money raised by his latest fundraising venture will go to a charity very close to his heart. Wadsworth said: “I’m extremely passionate about fundraising for such an important charity. Felix Fund is a hugely worthwhile cause. Having first-hand knowledge of what brilliant work they do, I think it’s vital to help them give support and rehabilitation to brave soldiers and their families, as well as raising the profile of the important bomb disposal work that they do. “The Ultra Challenges are endurance events to stretch abilities and will be run for military personnel alongside civilians. We hope to gain as much exposure as possible and look to people to sponsor participants in the events to raise as much money for this great cause.” Melanie Moughton, CEO of Felix Fund, added: “This series of events will hopefully secure a large amount of our fundraising target for the coming year. Opening up the challenges to all fitness levels allows for greater participation and awareness. We hope that these will become a regular feature of Felix Fund’s fundraising calendar.” DO YOU NOW FEEL LIKE CHALLENGING YOURSELF? Set yourself some fitness goals and why not sign up to some or all the events at: Tour De Troops: https://origintickets.co.uk/ store/?event=1066 The Soldiers Pass Run: https://origintickets.co.uk/ store/?event=1065 The Victory Swim: https://helmtickets.com/ events/1277/the-victory-swim TO MAKE A DONATION, VISIT: Tour De Troops: https://www.justgiving.com/ fundraising/tourdetroops The Soldiers Pass Run: https://www.justgiving.com/ fundraising/thesoldierspassrun The Victory Swim: https://www.justgiving.com/ fundraising/thevictoryswim Felix Fund has been supporting the men and women of the wider EOD and Search community for over seven years and whilst the world may have changed since it was first set up, the need for our help and support is ever present. For more information about Felix Fund, and how you can support us, please visit our website www.felixfund.org.uk or contact enquiries@felixfund.org.uk or call 07713 752901. ! Are you risk ready? IRM qualifications combine the principles and practice of risk management to help you protect your organisation. Join more than 8,000 students from 143 countries who have studied with us. •	Worldwide	leaders	and	Pioneers	in	developing	Body Worn Video	(BWV) technology	since	2005. •	UK	security	company	ever	funded	by	the	European Union H2020	SME	Instrument	Phase	2	programme. •	Winner	of	the	Communication Systems Award	at	the	UK	Counter	Terror	Awards	in	March	2018. •	BWV	System	that	exceeds	all	current	standards	including	BS EN 8593. •	BWV	‘eco’	system	that	‘fuses’	secure	evidential	video	gathering	with	active	user	protection,	encrypted	Live	Streaming,	Google	map	Overlays	and	remote	viewing. •	Company	to	collaborate with Academia	and	offer	Accredited	BWV	Training	Courses.